Brendan Clarke; Ger O’Brien, Kenny Browne, Derek Foran, Ian Bermingham; Conan Byrne (Sean Hoare, 77), Killian Brennan, Greg Bolger, Mark Quigley (Keith Fahey, 63), Christopher Forrester (Daryl Kavanagh, 73); Christy Fagan. Peter Cherrie; Sean Gannon, Brian Gartland, Andy Boyle, Dane Massey; John Mountney (Darren Meenan, 79), Chris Shields, Stephen O’Donnell (Ruaidhri Higgins, 90+3), Richard Towell, Daryl Horgan; Patrick Hoban (David McMillan, 75). 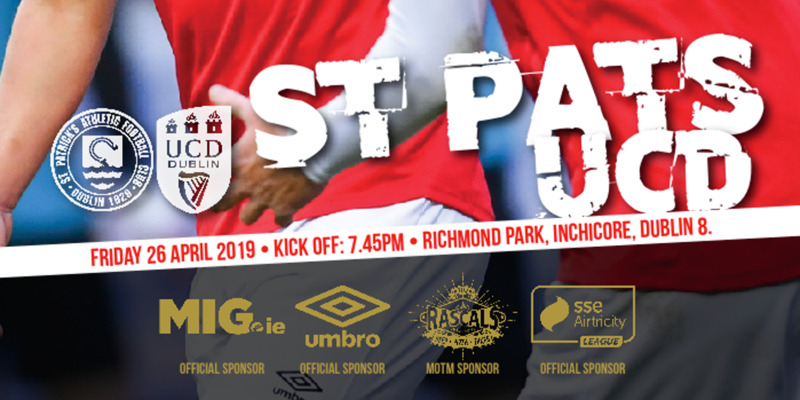 Dundalk came from behind to overcome title holders St Patrick's Athletic by 4-1 in their entertaining SSE Airtricity League Premier Division encounter at Richmond Park. Christopher Forrester availed of confusion in the Dundalk defence to open the lead in the 30th minute but Dundalk restored parity in the 50th minute through a superb free-kick by John Mountney. Daryl Horgan eclipsed Mountney's effort in the 62nd minute and after Greg Bolger was dismissed with quarter of an hour to go, David McMillan sealed the points with a clinical finish in the 87th minute before Sean Gannon added a fourth in added time. Both sides began in an enterprising fashion with Christopher Forrester making an early incision down Dundalk's right-hand side but his low cross was comfortably dealt with by Brian Gartland. At the opposite end, the visitors appeared to have legitimate claims for a penalty kick in the 3rd minute as Daryl Horgan's header from Sean Gannon's cross appeared to strike Derek Foran on the forearm but referee Pauric Sutton waved away their vehement appeals. Dundalk still carried the greater threat initially with St Pat's indebted to Ger O'Brien, who cleared well at the near post after John Mountney had skipped far too easily past Ian Bermingham in the 9th minute. The hosts were struggling for fluency at this stage, being eclipsed in midfield by a more cohesive Dundalk unit and Dane Massey was next to go close for the Louth outfit in the 21st when he fired over wastefully from fourteen yards as St Pat's struggled to clear their lines. Gradually, the league holders began to threaten with Greg Bolger denied at the back post by Peter Cherrie following an inviting free-kick from Conan Byrne midway through the half. 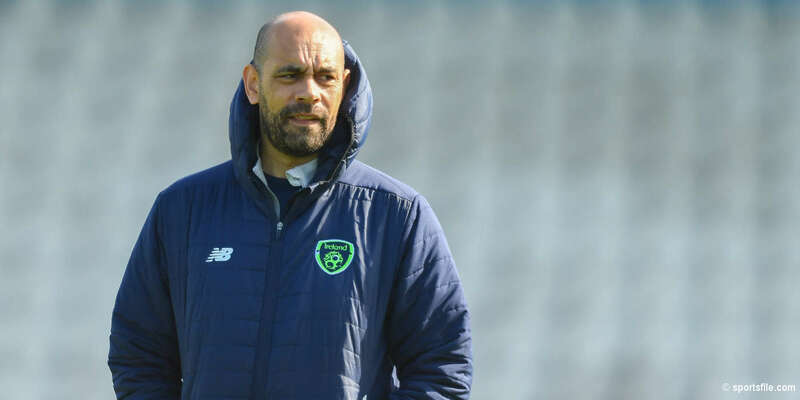 Byrne was the instigator once again in the 25th minute with his corner-kick finding its way to Christy Fagan, whose effort was scrambled clear while Kenny Browne was also denied from the rebound amid fruitless appeals by the hosts for handball. However, that minor bout of pressure told on the half hour mark with Dundalk architects in their own downfall as Gartland failed to control Brendan Clarke's delivery, allowing Forrester to fire home from twenty yards with Cherrie absent without leave from his goal. To their credit, Dundalk responded well to that setback and after Browne was cautioned for a foul on Stephen O'Donnell, Massey curled the resultant free-kick too close to Clarke, who gathered comfortably. An even better opportunity to restore parity was spurned by Dundalk in the 40th minute as Browne inadvertently directed Patrick Hoban's cross into the path of Mountney, who fired well wide when well positioned. The half concluded with the Saints looking to double their lead and after Cherrie had denied Fagan with a sprawling save, Browne sliced over at the back post as Bolger flicked on Byrne's corner-kick. The hosts were left ruing that golden opportunity as Dundalk restored parity within five minutes of the restart as Mountney struck a superb free-kick beyond the despairing dive of Clarke from 28 yards following Mark Quigley's unnecessary trip on Shields. The ebb and flow was maintained with St Pat's threatening six minutes later as Browne rose highest to meet Byrne's corner-kick but his powerful downward header veered wide of Cherrie's left-hand upright. Back came Dundalk to take the lead in the 62nd minute as Clarke was once again left floundering as Horgan curled a glorious shot into the top corner when left in too much space by Hoban's pass. The champions' task was made even harder as Bolger was dismissed for a reckless challenge on Boyle in the 75th minute as St Pat's struggled in vain to create opportunities against a resolute Dundalk defence. The visitors should have doubled their lead five minutes later as Massey rolled a delightful pass into the path of Gartland, who poked erroneously with the goal at his mercy. That miss proved immaterial as substitute David McMillan sealed the points with a composed finish beyond Clarke in the 87th minute. 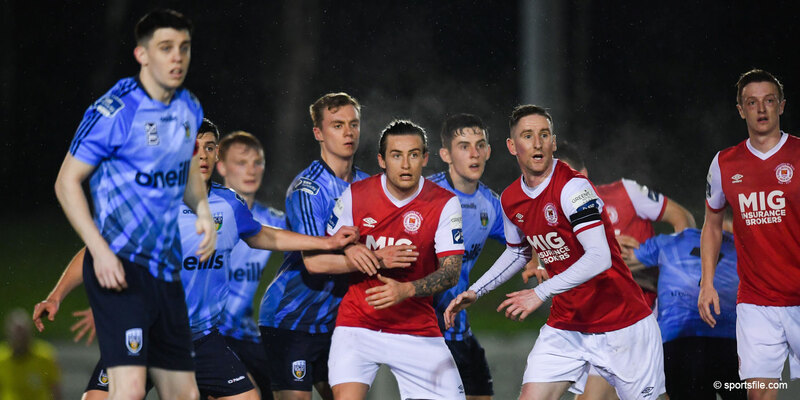 Further salt was added into the hosts' increasingly gaping wounds when Sean Gannon volleyed a meticulous shot beyond Clarke following Horgan's delivery deep into injury time.